An amateur trying to get rich quick is like a monkey out on a thin branch. He reaches for a ripe fruit but crashes when the branch breaks under his weight. Institutional traders as a group tend to be more successful than private traders. They owe it to their bosses, who enforce discipline (See Section 14). If a trader loses more than his limit on a single trade, he is fired for insubordination. If he loses his monthly limit, his trading privileges are suspended for the rest of the month and he becomes a gofer, fetching other traders coffee. If he loses his monthly limit several times in a row, the company either fires or transfers him. This system makes institutional traders avoid losses. Private traders have to be their own enforcers. An amateur who opens a $20,000 trading account and expects to run it into a million in two years is like a teenager who runs away to Hollywood to become a pop singer. He may succeed, but the exceptions only confirm the rule. Amateurs try to get rich quick but destroy themselves by taking wild risks. They may succeed for a while but hang themselves, given enough rope. Amateurs often ask me what percentage profit they can make annually from trading. The answer depends on their skills or lack of such and market conditions. Amateurs never ask a more important question: "How much will I lose before I stop trading and re-evaluate myself, my system, and the markets?" If you focus on handling losses, profits will take care of themselves. A person who makes 25 percent profit annually is a king of Wall Street. Many top-flight money managers would give away their firstborn child to be able to top this. A trader who can double his money in a year is a star—as rare as a pop musician or a top athlete. If you set modest goals for yourself and achieve them, you can go very far. If you can make 30 percent annually, people will beg you to manage their money. If you manage $10 million —not an outlandish amount in today's markets —your management fee alone can run 6 percent of that, or $600,000 a year. If you make a 30 percent profit, you will keep 15 percent of it as an incentive fee — another $450,000. You will earn over a million dollars a year trading, without taking big risks. Keep these numbers in mind when you plan your next trade. Trade to establish the best track record, with steady gains and small drawdowns. Most traders get killed by one of two bullets: ignorance or emotion. Amateurs act on hunches and stumble into trades that they should never take due to negative mathematical expectations. Those who survive the stage of virginal ignorance go on to design better systems. When they become more confident, they lift their heads out of the foxholes —and the second bullet hits them! Confidence makes them greedy, they risk too much money on a trade, and a short string of losses blows them out of the market. If you bet a quarter of your account on each trade, your ruin is guaranteed. You will be wiped out by a very short losing streak, which happens even with excellent trading systems. Even if you bet a tenth of your account on a trade, you will not survive much longer. A professional cannot afford to lose more than a tiny percentage of his equity on a single trade. An amateur has the same attitude toward trading as an alcoholic has toward drinking. He sets out to have a good time, but winds up destroying himself. Extensive testing has shown that the maximum amount a trader may lose on a single trade without damaging his long-term prospects is 2 percent of his equity. This limit includes slippage and commissions. If you have a $20,000 account, you may not risk more than $400 on any trade. If you have a $100,000 account, you may not risk more $2000 on a trade, but if you have only $10,000 in your account, then you can risk no more than $200 on a trade. Most amateurs shake their heads when they hear this. 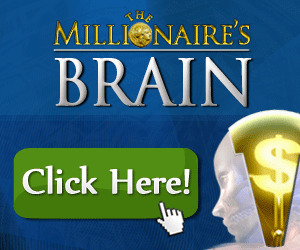 Many have small accounts and the 2 percent rule throws a monkey wrench into the dreams of quick profits. Most successful professionals, on the other hand, consider the 2 percent limit too high. They do not allow themselves to risk more than 1 percent or 1.5 percent of their equity on any single trade. The 2 percent mle puts a solid floor under the amount of damage the market can do to your account. Even a string of five or six losing trades will not cripple your prospects. In any case, if you are trading to create the best track record, you will not want to show more than a 6 percent or 8 percent monthly loss. When you hit that limit, stop trading for the rest of the month. Use this cooling-off period to reexamine yourself, your methods, and the markets. The 2 percent rule keeps you out of riskier trades. When your system gives an entry signal, check to see where to place a logical stop. If that would expose more than 2 percent of your account equity — pass up that trade. It pays to wait for trades that allow very close stops (see Chapter 9). Waiting for them reduces the excitement of trading but enhances profit potential. You choose which of the two you really want. The 2 percent rule helps you decide how many contracts to trade. For example, if you have $20,000 in your account, you may risk up to $400 per trade. If your system flags an attractive trade with a $275 risk, then you may trade only one contract. If the risk is only $175, then you can afford to trade two contracts. What about pyramiding — increasing the size of your trading positions as a trade moves in your favor? The 2 percent rule helps here too. If you show profit on a trend-following position, you may add to it, as long as your existing position is at a break-even level or better and the risk on the additional position does not exceed 2 percent of your equity. 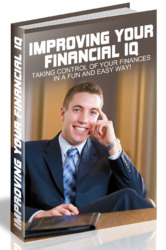 Taking Control Of Your Finances In A Fun And Easy Way. 23 Pages, Letter-Sized, PDF Format, Instant Download. This book will be one of the most important financial books you will ever read. Discover the truth behind why most network marketers fail to make money or break even because of their lack of financial knowledge plus so much more.